Keep your head in the advertising game with the right technique when you print personalized Bowling League Postcards and send them to your guest list in advance. 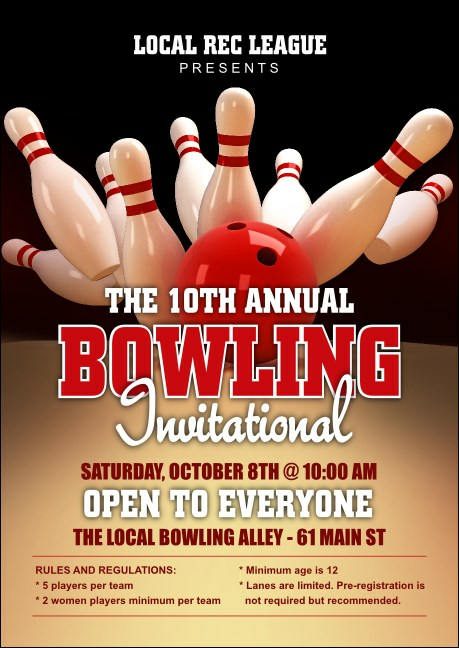 These sporty Postcard templates feature a shiny red bowling ball rolling its way right into a line of pins, and each includes room to customize fourteen lines of text with all your event details. TicketPrinting.com helps you frame your advertising perfectly.